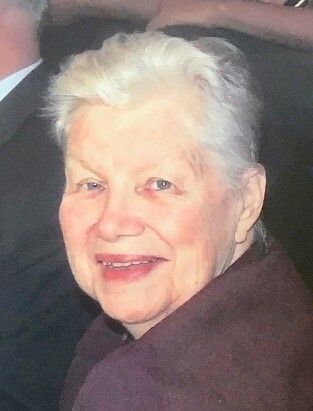 Lynn Efird Burnet, age 75, went to be with the Lord on Sunday, March 17, 2019. She was born February 27, 1944 in Norfolk, Virginia and grew up in Lynchburg, Virginia with her parents, Julius and Doris Efird (preceding her in death) and brother Larry. She maintained lifelong friends from Lynchburg’s Garland-Rodes Elementary School and E.C. Glass High School. Lynn attended the College of William & Mary and it was during these years that she met her beloved husband, Bob, on a blind date. They celebrated their 50th wedding anniversary with several friends in summer, 2017. The wife of an Air Force officer, Lynn worked as a clerk-typist and procurement clerk at Patrick AFB early in their marriage. When their children were born, Lynn became a stay-at-home mom for many years before starting a business with dear friends who shared her passion for cross-stitching and quilting. She was an active member at First Presbyterian Church-Niceville, serving for years on the missions committee, leading circle meetings and singing in the choir until suffering strokes in her late 60s. She is survived by her loving husband, Bob Burnet and their children and spouses, Karen Burnet Fortune (David) and David Burnet (Karla), grandchildren Annie Cotten and Cosby Burnet, Joshua, Joseph and Charlotte Fortune and her brother Larry Efird. Visitation with the family will be held at McLaughlin Twin Cities Funeral Home from 6:00PM to 8:00PM, Friday, March 22, 2019. Services celebrating Lynn’s life will be held at 11:00AM, Saturday, March 23, 2019 at First Presbyterian Church-Niceville. After a brief graveside observance, a reception for all friends and family will be held in the Fellowship Hall at First Presbyterian Church-Niceville following the service. The family has requested that in lieu of flowers, donations be made to First Presbyterian Church-Niceville’s Missions Fund or the Palmer Home for Children (P.O. Box 746, Columbus, MS 39703).